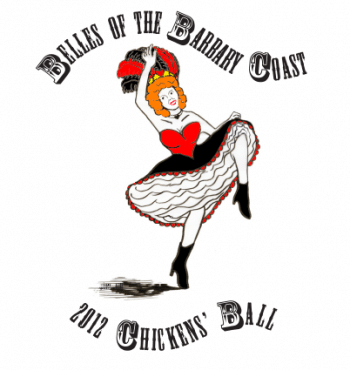 2012 Chicken's Ball – Updated! Get ready San Carlos! Chicken’s Ball 2012 is on its way. With it roots dating back to the Barbary Coast in San Francisco in 1900, the Chicken’s Ball has been a San Carlos tradition since it first premiered in 1940. Its primary goals: (1) raise money for San Carlos schools; and (2) build friendship in the community. Many of the participants in the biennial event have been helping or performing in the show for many years. Tickets for this year’s event will go on sale starting January 30th at the San Carlos History Museum. To be taken to the Chicken’s Ball website, click here. Chickens’ Ball Tickets Go On Sale To the Public This Saturday, March 10th! The Chickens’ Ball only comes around every 2 years so don’t miss your chance to see the show this year. Chickens’ Ball representatives will be at the Central Multi Use Room at 826 Chestnut Street in San Carlos this Saturday March 10th at 9 am. Please stop by for your order form (which is also attached). Your tickets can be bought at Central, through the steering representatives at schools, or you can mail in your ticket request form to the address on the form OR you can book your tickets online at http://chickensball.org/tickets/order-tickets/. This is an amazing show every time and this year is no exception. The San Carlos Chickens’ Ball has a long history, since 1940, of providing the San Carlos School District’s PTAs with generous donations. The 2010 Chickens’ Ball generated a donation of over $35,000! This year’s Ball proceeds will support the visual and performing arts in all of our schools. Look for our Chickens’ Ball banner flying across Laurel Street this week as public ticket sales begin at Central March 10th! This Week – March 5, 2012 – PTA & School Ticket Sales – Ticket sales will be in person and online.